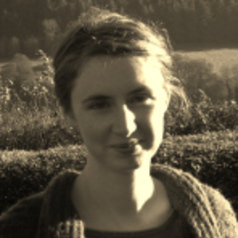 Jessica Pykett is a social and political geographer at the University of Birmingham, UK. She has research interests in citizenship and the practices of governing, the geographies of education, and the formation of neurological and psychological citizen-subjectivities. Some recent books include: Brain Culture: Shaping policy through neuroscience (Policy Press, July 2015); Emotional States, with Eleanor Jupp and Fiona Smith (Routledge, 2017), Psychological Governance and Public Policy, with Rhys Jones and Mark Whitehead (Routledge 2017) and Neuroliberalism, with Rhys Jones, Mark Whitehead, Rachel Lilley and Rachel Howell (Routledge, 2018) . She teaches on the spatial politics of welfare, work and wealth. Before joining the University of Birmingham in September 2012, Jessica was a lecturer in Human Geography at Aberystwyth University. Here she worked on a Leverhulme funded grant on the ‘Time-Spaces of Soft-Paternalism’. Previously she was an ESRC research fellow at The Open University and has held research positions at the University of Bristol and Futurelab Education.